Am I talking about Valentine’s Day? Or Jack Benny’s birthday? Well, yes, those are just around the corner too. But what I’m here to relay is information on the second annual Orchid Show at the Chicago Botanic Garden, which runs daily from February 14th through March 15, 10 a.m. to 4 p.m. 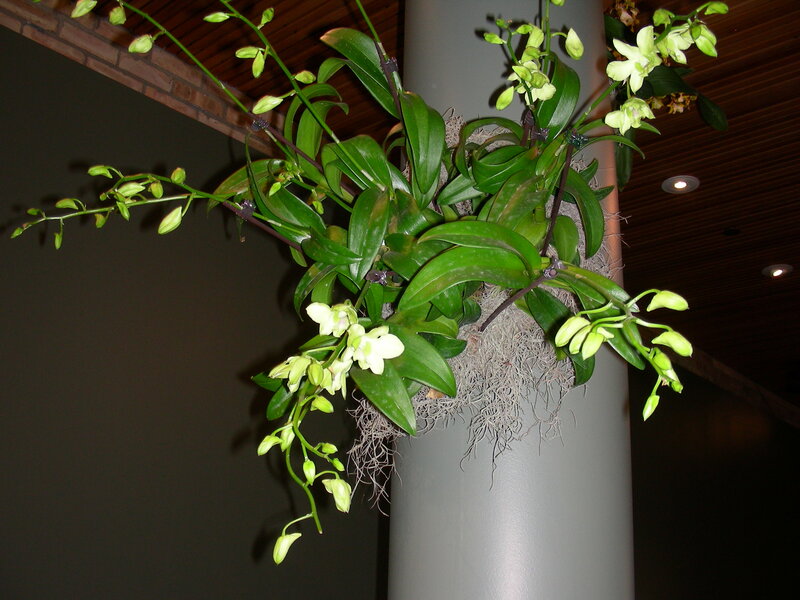 If you missed reading my orchid post last year, highlighting some of the interesting sexual propagation strategies of the orchid, click here to read and see pictures, then go to the show and discover more of the interesting orchid patterns yourself. 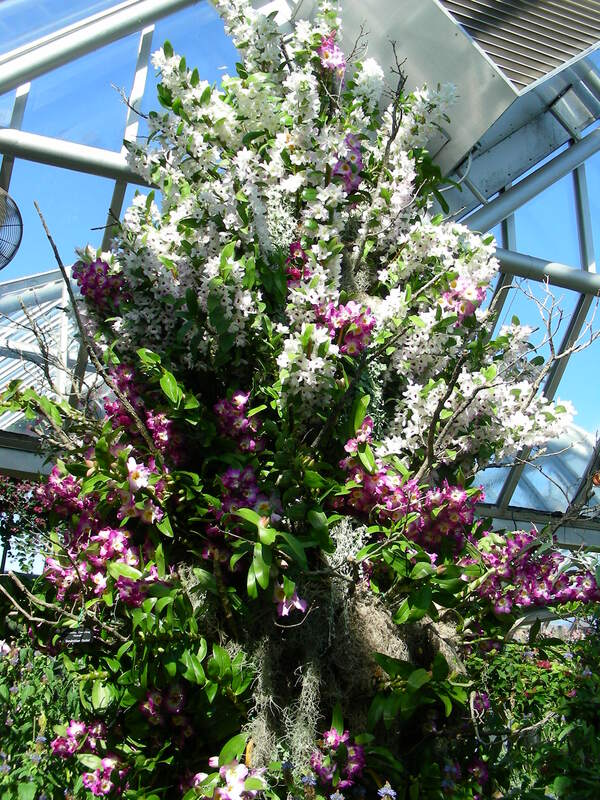 (Hint): Guys – taking your lady to see the more than 10,000 orchids at CBG would be a great Valentine’s day outing. Plus, if you go to the preview opening on the evening of Friday, February 13th, there are also cocktails, hors d’oeuvres, and a jazz ensemble playing. Each weekend they also have orchids for sale. Tuesdays and Thursdays at 10 a.m. also feature various music performances. 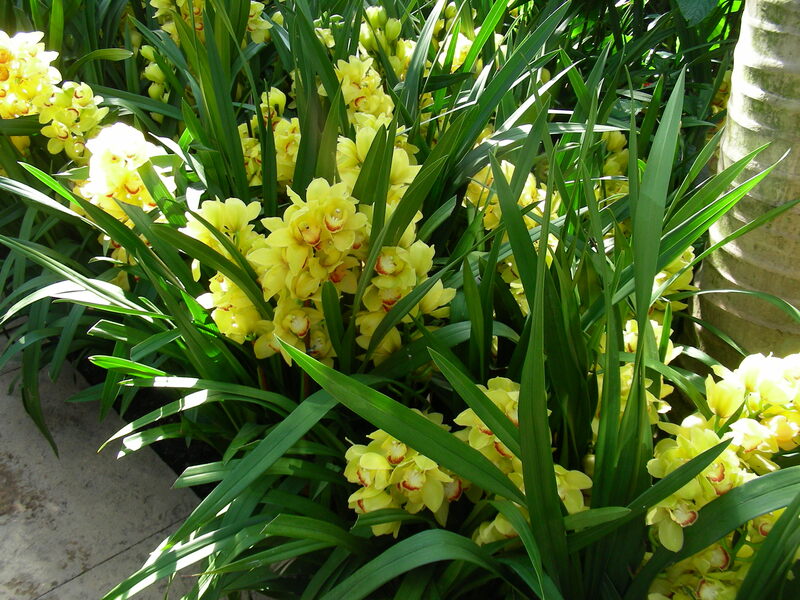 Hubby and I must have attended last year’s show on one of those special days (just by luck), because I remember being serenaded by a string quartet while we viewed the orchids. Tickets cost $8 each for members, or $10 for non-members. Be aware that if you are not a CBG member you will also pay for parking ($25 dollars at the gate or $20 online advance parking, CBG members get free parking). Here’s the website for more information and to pay your parking online: http://www.chicagobotanic.org/orchid. And just to whet your appetite, here are a couple more of the pictures Hubby and I took from last year’s show.